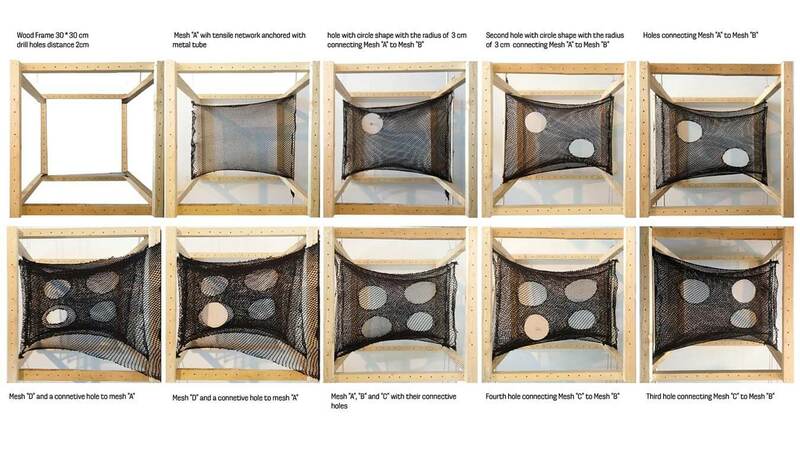 The Mesh Relaxation Study researches minimal surfaces and mesh relaxation techniques. The research project was undertaken by Behnaz Farahi at Synthesis Design + Architecture (SDA). 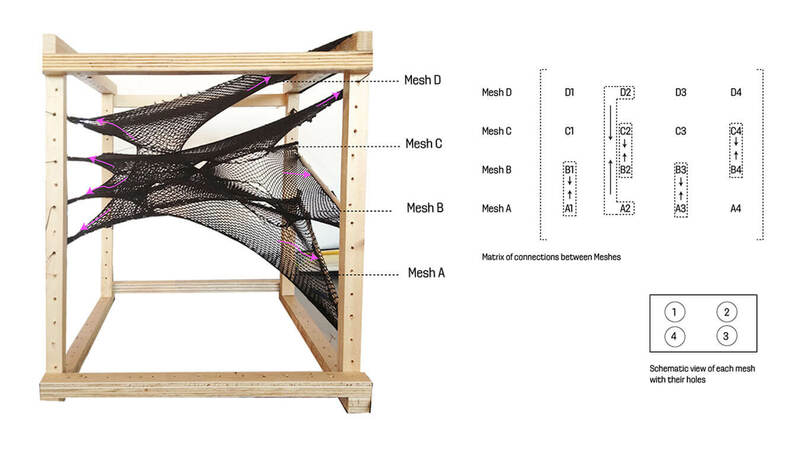 The project involves the use of Grasshopper and Kangaroo to simulate fabric and any tensile behavior. This will be included in a publication on experimental architectural techniques.